The laws governing cosmetics and personal care products are so limited that known cancer-causing chemicals, or carcinogens, are legally allowed in personal care products. Some carcinogens, such as formaldehyde and formaldehyde-releasing preservatives, are common in personal care products, while others are less common, but still occasionally present. HEALTH CONCERNS: Cancer, endocrine disruption, developmental and reproductive toxicity, bioaccumulation, ecotoxicity. REGULATIONS: Formaldehyde is prohibited in Japan, and restricted in the EU; coal tar is prohibited in the EU; benzene is prohibited in the EU; ethylene oxide is prohibited in the EU; chromium is prohibited in the EU;  cadmium compounds are prohibited in Japan and the EU; arsenic is prohibited in the EU. Where do we find those known human carcinogenic chemicals? The International Agency for Research on Cancer (IARC) is an intergovernmental agency, and part of the World Health Organization. IARC’s mission is to enhance collaboration in cancer research internationally. Of the 113 agents listed by IARC as known human carcinogens (Groups 1), at least 11 have been or are currently used in personal care products: formaldehyde, phenacetin, coal tar, benzene, untreated or mildly treated mineral oils, methylene glycol, ethylene oxide, chromium, cadmium and its compounds, arsenic, and crystalline silica or quartz. Carcinogens in personal care products: Chemicals and their health concerns? IARC, the National Toxicology Program (NTP) and California EPA’s Proposition 65 (Prop 65) classify formaldehyde as a human carcinogen.,, EPA identifies formaldehyde as a probable human carcinogen. The National Institute of Occupational Safety and Health (NIOSH) also raises concern that exposure to formaldehyde leads to irritation of the eyes, nose, throat and respiratory system. Standards for cosmetics in Japan prohibit formaldehyde use in cosmetics, and the European Commission restricts formaldehyde in cosmetics to no more than five percent concentration in the finished product. IARC and Prop 65 identify phenacetin as a human carcinogen., NTP lists that phenacetin and analgesic mixtures containing phenacetin are reasonably anticipated to be human carcinogens. Phenacetin can also cause renal damage and anemia. Exposure to phenacetin has been linked malignant mammary tumors. Coal tar is a known carcinogen and a by-product from coal processing. It is used in cosmetics containing hair dyes, shampoos, dandruff/scalp treatment and redness/rosacea treatment. IARC, NTP and EPA classify coal tar as a known human carcinogen.,, Coal tar was one of the first occupational exposures linked to cancer; when scrotal cancer among young chimney sweeps was associated with exposure. It is also associated with cancers of the lung, bladder, kidney, and digestive tract. Environmental Canada classifies that coal tar pitch is persistent and inherently toxic to aquatic organisms. 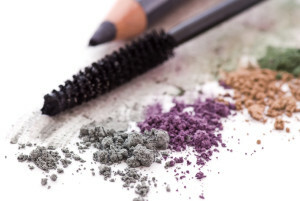 European Commission prohibits coal tar use in cosmetics. Coal tars are complex mixtures that can contain other known carcinogens, such as polycyclic aromatic hydrocarbons (PAHs), such as benzo[a]pyrene., PAHs damage DNA, and exposure to PAHs can lead to tumors on lungs, bladder and skin; and PAHs can also cause non-cancer toxicities like reproductive and developmental toxicity. Benzene is derived from coal tar, and exposure routes of benzene are inhalation and ingestion. Benzene is used in the production of plastics and detergents and occasionally in hair conditioner and styling lotion. IARC and NTP classify benzene as a known human carcinogen., Prop 65 identifies benzene as a concern for both cancer and developmental toxicity, and benzene can lead to mammary tumors in female mice. EPA identifies benzene as a known human respiratory toxicant. Benzene is considered a priority pollutant of wastewater by EPA, which means environmental releases of benzene are regulated. The Endocrine Disruption Exchange considers benzene as an endocrine disruptor. Occupational exposure to benzene is linked to leukemia; and benzene can target organs including eyes, skin, respiratory system, blood, central nervous system and bone marrow. The European Commission prohibits benzene use in cosmetics, and it is restricted in the Convention for the Protection of the Marine Environment of the North-East Altantic (OSPAR). Mineral oils are derived from crude oil; and mildly refined mineral oils always contain significant amounts of PAHs. Mineral oils are common in a wide array of personal care products, including eye shadow, moisturizer, lip gloss, lipstick, conditioner, hair color and bleaching, facial treatment, styling gel/lotion, blush and concealer. IARC, NTP and Prop 65 classify untreated and mildly treated mineral oils as a known human carcinogen.,, NIOSH raises concerns that mineral oils can target organs including eyes, skin, and respiratory system though inhalation, or skin and eye contact. Ethylene oxide is a possible impurity in personal care products as a byproduct of the process of ethoxylation, which is used to buffer the harsh effects of some sudsing agents; Ethylene oxide is most widely used to sterilize medical instruments. It can be found in tobacco smoke, automobile exhausts, and foods. There is strong evidence that ethylene oxide can lead lymphatic and hematopoietic cancers; and some studies found increased incidence of breast cancer in exposed workers. Prop 65 identifies ethylene oxide as a concern for both cancer and developmental toxicity in both females and males. The Endocrine Disruption Exchange lists ethylene oxide as an endocrine disruptor. NIOSH concludes that ethylene oxide leads peritoneal cancer and leukemia; exposure to ethylene oxide through inhalation, ingestion, and skin and eye contact can disrupt respiratory system, central nervous system, and reproductive system. The European Commission prohibits ethylene oxide use in cosmetics. Heavy metals like hexavalent chromium, and cadmium serve as colorants in eye shadow and lip gloss. ,, Other metals such as arsenic are impurities in cosmetic ingredients including facial lotion, shampoo, and foundation,  as a result of arsenic contamination in ingredients such as D&C Red 6, aluminum starch octenylsuccinate, hydeogenated cottonseed oil, and polyvinyl acetate.,. IARC, the National Toxicology Program and California’s Prop 65 identify cadmium and its compounds, arsenic, and chromium as human carcinogens;, ,  in addition, chromium can also lead to developmental problems in both females and males. The U.S. Environmental Protection Agency (EPA) concludes that there is sufficient evidence that arsenic is a carcinogen; and arsenic can also lead hyperpigmentation, keratosis and possible vascular complications. EPA lists arsenic as a priority pollutant and regulates arsenic emissions;  The Endocrine Disruption Exchange suggests that arsenic can cause endocrine disruption. NIOSH demonstrates that exposure to arsenic leads to lung and lymphatic cancer; because it can target organs including liver, kidneys, skin, lungs and lymphatic system through inhalation, skin absorption, skin and eye contact, and ingestion. The European Commission prohibits arsenic in cosmetics. The European Chemicals Agency (ECHA) lists chromium as a carcinogen and mutagen. NIOSH indicates that exposure to chromium leads to lung cancer; and the metal targets organs including blood, respiratory system, liver and kidneys. It can cause increased blood leukocytes, eye injury, and skin ulcers through inhalation, ingestion, and skin and eye contact. EPA considers chromium to be both bioaccumulative and ecotoxic. The European Commission prohibits chromium use in cosmetics. Silica occurs in two different forms: crystalline or amorphous; quartz is the common mineral in crystalline silica. Respirable crystalline silica is an airborne contaminant that can penetrate the lung when it is inhaled. Crystalline silica is widely used in lipsticks, lip gloss, eye shadow, eye liner, foundation, sunscreen, lotion and shampoo. NTP and IARC both list crystalline silica of respirable size as a known human carcinogen,, and Prop 65 classifies silica, crystalline (airborne particles of respirable size) as a carcinogen. NIOSH raises concerns about lung cancer in animals exposed to crystalline silica; and this chemical can target eyes and the respiratory system through inhalation, and skin and eye contact. Ministry of Healtth, Labour and Welfare. Standards for Cosmetics. Available online: http://www.mhlw.go.jp/english/dl/cosmetics.pdf July 23, 2014. European Commission. Crude and refined coal tars. Available online: http://ec.europa.eu/consumers/cosmetics/cosing/index.cfm?fuseaction=search.details&id=28255 July 23, 2014. European Commission. Crude and refined coal tars. Available online: http://ec.europa.eu/consumers/cosmetics/cosing/index.cfm?fuseaction=search.details&id=28768 July 23, 2014. European Commission. Chromium trioxide. Available online: http://ec.europa.eu/consumers/cosmetics/cosing/index.cfm?fuseaction=search.details_v2&id=28884 July 23, 2014. European Commission. Crude and refined coal tars. Available online: http://ec.europa.eu/consumers/cosmetics/cosing/index.cfm?fuseaction=search.details&id=28401 July 23, 2014. European Commission. Chromium trioxide. Available online: http://ec.europa.eu/consumers/cosmetics/cosing/index.cfm?fuseaction=search.details_v2&id=80923 July 23, 2014. European Commission. Cadmium and its compounds. Available online: http://ec.europa.eu/consumers/cosmetics/cosing/index.cfm?fuseaction=search.details_v2&id=29456 July 23, 2014. European Commission. Arsenic. Available online: http://ec.europa.eu/consumers/cosmetics/cosing/index.cfm?fuseaction=search.details_v2&id=28880 July 23, 2014.
 International Agency for Research on Cancer (IARC). IARC mission. Available online: http://www.iarc.fr/en/about/index.php July 31, 2014.
 International Agency for Research on Cancer. Agents classified by the IARC monographs, volumes 1-109. Available online: http://monographs.iarc.fr/ENG/Classification/ July 31, 2014. IARC Monographs. Agents classified by the IARC Monographs. Vol. 1-109, available online: http://monographs.iarc.fr/ENG/Classification/ClassificationsAlphaOrder.pdf July 22, 2014. Occupational Safety & Health Administration. Formaldehyde. Available online: https://www.osha.gov/SLTC/formaldehyde/index.html July 30, 2014. Moennich J. et al. Formaldehyde-releasing preservative in baby and cosmetic products. Journal of the Dermatology Nurses’ Association, vol. 1, pp. 211-214, 2009. Jacob S. & Breithaupt A., Environmental Exposures – A pediatric perspective on allergic contact dermatitis. Skin & Aging. July 2009: 28-36. Calfornia Safe Cosmetics Program Product Database. Formaldehyde. Available online: https://safecosmetics.cdph.ca.gov/search/categories.aspx August 6, 2014. Joshua H, & Hillebrand E., Determination of free formaldehyde in cosmetic preservatives and surfactants by HPLC with postcolumn derivatization. American Laboratory, vol. 42, no. 8, pp 14-15, 2010. Moennich J. et al. Formaldehyde-releasing golpreservative in baby and cosmetic products. Journal of the Dermatology Nurses’ Association, vol. 1, pp. 211-214, 2009. Chemicals Known to the State to Cause Cancer or Reproductive Toxicity. Available online: http://oehha.ca.gov/prop65/prop65_list/files/P65single01032014.pdf July 22, 2014. U.S. Department of Health and Human Services Public Health Service National Toxicology Program. Report on carcinogens. 12th edition, 2011. U.S. Environmental Protection Agency. IRIS: formaldehyde. Available online: http://www.epa.gov/iris/subst/0395.htm July 24, 2014. Centers for Disease Control and Prevention. NOISH pocket guide to chemical hazards: naphtha (coal tar). Available online: http://www.cdc.gov/niosh/npg/npgd0293.html July 24, 2014. European Commission. Formaldehyde. Available online: http://ec.europa.eu/consumers/cosmetics/cosing/index.cfm?fuseaction=search.details&id=28255 July 23, 2014. Silent Spring Institution. Mammary carcinogens review database: phenacetin. Available online: http://sciencereview.silentspring.org/mamm_detail.cfm?cid=62-44-2 July 22, 2014. Good Guide. Phenacetin. Available online: http://www.goodguide.com/ingredients/37822-phenacetin?category_id=184447-hair-color-and-bleaching July 31, 2014. National Toxicology Program. Reports on carcinogens, twelfth eidion (2011): phenacetin. Available online: http://ntp.niehs.nih.gov/ntp/roc/twelfth/roc12.pdf July 31, 2014. National Toxicology Program. CAS registry number: 62-44-2 toxicity effects. Available online: http://ntp.niehs.nih.gov/testing/status/chemid/hsdb-62-44-2.html July 22, 2014. Silent Spring Institution. Mammary carcinogens review database: phenacetin. Available online: http://ntp.niehs.nih.gov/testing/status/chemid/hsdb-62-44-2.html July 22, 2014. EWG’s Skin Deep Cosmetics Database. Coal tar. Available online: http://www.ewg.org/skindeep/ingredient/701514/COAL_TAR/ July 28, 2014. National Toxicology Program. Reports on Carcinogens, twelfth edition, 2011. Available online: http://ntp.niehs.nih.gov/ntp/roc/twelfth/roc12.pdf July 23, 2014. U.S. Environmental Protection Agency. IRIS: coke oven emissions. Available online: http://www.epa.gov/iris/subst/0395.htm July 24, 2014. Gawkrodger DJ., Ocupational Skin cancers. Occupational Medicine, vol. 54, pp 458-63, 2003. Available online: http://occmed.oxfordjournals.org/content/54/7/458.full.pdf August 6, 2014. National Toxicology Program. Reports on Carcinogens, twelfth edition, 2011. Available online: http://ntp.niehs.nih.gov/ntp/roc/twelfth/profiles/coaltars.pdf August 5, 2014. Environment Canada. Coal tar. Available online: http://www.ec.gc.ca/lcpe-cepa/eng/subs_list/DSL/DSLsearch.cfm July 28, 2014. National Toxiciology Program.Report on carcinogens, twelfth edition (2011): coal tars and coal-tar pitches. Available online: http://ntp.niehs.nih.gov/ntp/roc/twelfth/profiles/coaltars.pdf July 31, 2014. U.S. EPA, Toxicity and Exoposure Assessment for Children’s Health. Benzo(a)pyrene (BaP). Available online: http://www.epa.gov/teach/chem_summ/BaP_summary.pdf July 31, 2014. National Toxicity Program (NTP). Available online: http://ntp.niehs.nih.gov/ntp/about_ntp/bsc/2012/december/pahresearchconcept_508be.pdf July 24, 2014. Silent Spring Institution. Mammary carcinogens review database: phenacetin. Available online: http://sciencereview.silentspring.org/mamm_detail.cfm?cid=71-43-2 July 24, 2014. United States Department of Labor. OSHA: benzene. Available online: https://www.osha.gov/SLTC/benzene/index.html July 24, 2014. California Safe Cosmetics Program Product Database. Benzene. Available online: https://safecosmetics.cdph.ca.gov/search/categories.aspx July 31, 2014. National Toxicology Program. CAS registry number: 62-44-2 toxicity effects. Available online: http://ntp.niehs.nih.gov/testing/status/chemid/hsdb-62-44-2.html July 23, 2014. United States Environmental Protection Agency. The original list of hazardous air pollutants as follows. Available online: http://www.epa.gov/ttn/atw/188polls.html July 24, 2014. United States Environmental Protection Agency. Toxic and priority pollutants. Available online: http://water.epa.gov/scitech/methods/cwa/pollutants-background.cfm#pp August 6, 2014. The Endocrine Disruption Exchange (TEDX). Benzene. Available online: http://endocrinedisruption.org/popup-chemical-details?chemid=401 July 24, 2014. Centers for Disease Control and Prevention. NOISH pocket guide to chemical hazards: benzene. Available online: http://www.cdc.gov/niosh/npg/npgd0049.html July 24, 2014. OSPAR Commission. List of substances of possible concern. Available online: http://www.ospar.org/content/content.asp?menu=01460304880153_000000_000000 July 24, 2014. IARC Monographs. Mineral oils, untreated or mildly treated. Available online: http://monographs.iarc.fr/ENG/Monographs/vol100F/mono100F-19.pdf July 28, 2014. EWG’s Skin Deep Cosmetics Database. Mineral oil. Available online: http://www.ewg.org/skindeep/ingredient/703977/MINERAL_OIL/ July 28, 2014. Centers for Disease Control and Prevention. NOISH pocket guide to chemical hazards: oil mist (mineral). Available online: http://www.cdc.gov/niosh/npg/npgd0472.html July 24, 2014. IARC Monographs. Ethylene oxide. Available online: http://monographs.iarc.fr/ENG/Monographs/vol97/mono97-7.pdf August 5, 2014. EWG’s Skin Deep Cosmetics Database. Formaldehyde. Available online: http://www.ewg.org/skindeep/ingredient/726229/ETHYLENE_OXIDE/ July 28, 2014. Silent Spring Institution. Mammary carcinogens review database: ethylene oxide. Available online: http://sciencereview.silentspring.org/mamm_detail.cfm?cid=75-21-8 July 28, 2014. The Endocrine Disruption Exchange (TEDX). Benzene. Available online: http://endocrinedisruption.org/popup-chemical-details?chemid=578 July 24, 2014. Centers for Disease Control and Prevention. NOISH pocket guide to chemical hazards: naphtha (coal tar). Available online: http://www.cdc.gov/niosh/npg/npgd0275.html July 24, 2014. Occupational Safety and Health Administration. Hexavalent Chromium. Available online: https://www.osha.gov/Publications/OSHA-3373-hexavalent-chromium.pdf August 5, 2014. Occupational Safety & Health Administration. Cadmium. Available online: https://www.osha.gov/SLTC/cadmium/ August 5, 2014. EWG’s Skin Deep Cosmetic Database. Available online: http://www.ewg.org/skindeep/ingredient/717716/CHROMIUM/ August 5, 2014. EWG’s Skin Deep Database. Impurities of concern in personal care products. Available online: http://www.ewg.org/skindeep/2007/02/04/impurities-of-concern-in-personal-care-products/ August 6, 2014. Hormones Matter. Toxins in cosmetics – contaminants in your personal care products. Available online: http://www.hormonesmatter.com/toxins-cosmetics/ August 6, 2014. EWG’s Skin Deep Database. Arsenic. Available online: http://www.ewg.org/skindeep/ingredient/726195/ARSENIC/ August 7, 2014. Chemicals Known to the State to Cause Cancer or Reproductive Toxicity. Available online: http://oehha.ca.gov/prop65/prop65_list/files/P65single01032014.pdf July 23, 2014. IARC Monographs. Agents classified by the IARC Monographs. Vol. 1-109, available online: http://monographs.iarc.fr/ENG/Classification/ClassificationsAlphaOrder.pdf July 23, 2014. United States Department of Labor. OSHA: cadmium. Available online: https://www.osha.gov/SLTC/cadmium/index.html July 23, 2014. U.S. Environmental Protection Agency (EPA). IRIS: Arsenic, inorganic. Available online: http://www.epa.gov/iris/subst/0278.htm July 23, 2014. United States Environmental Protection Agency. Priority Polutants. Available online: http://water.epa.gov/scitech/methods/cwa/pollutants.cfm July 23, 2014. The Endocrine Disruption Exchange (TEDX). Arsenic. Available online: http://endocrinedisruption.org/popup-chemical-details?chemid=389 July 23, 2014. Centers for Disease Control and Prevention. NOISH pocket guide to chemical hazards: Arsenic. Available online: http://www.cdc.gov/niosh/npg/npgd0038.html July 23, 2014. European Chemicals Agency (ECHA). Candidate list of substances of very high concern for authorization: chromium trioxide. Available online: http://echa.europa.eu/candidate-list-table?p_p_id=substancetypelist_WAR_substanceportlet&p_p_lifecycle=0&p_p_state=normal&p_p_mode=view&p_p_col_id=column-1&p_p_col_pos=2&p_p_col_count=3&_substancetypelist_WAR_substanceportlet_delta=20&_substancetypelist_WAR_substanceportlet_keywords=&_substancetypelist_WAR_substanceportlet_advancedSearch=false&_substancetypelist_WAR_substanceportlet_andOperator=true&_substancetypelist_WAR_substanceportlet_orderByCol=INCLUSIONDATECL&_substancetypelist_WAR_substanceportlet_orderByType=desc&_substancetypelist_WAR_substanceportlet_cur=6 July 23, 2014. Centers for Disease Control and Prevention. NOISH pocket guide to chemical hazards: Chromic acid and chromates. Available online: http://www.cdc.gov/niosh/npg/npgd0138.html July 23, 2014. United Stated Department of Labor. OSHA: silica, crystalline. Available online: https://www.osha.gov/dsg/topics/silicacrystalline/index.html July 22, 2014. Crystalline silica and health from a European industry perspective. What is respirable crystalline silica (RSC) ? Available online: http://www.crystallinesilica.eu/content/what-respirable-crystalline-silica-rcs July 31, 2014. EWG’s Skin Deep Cosmetics Database. Silica, crystalline. Available online: http://www.ewg.org/skindeep/ingredient/705472/SILICA%2C_CRYSTALLINE_%28QUARTZ%29/ July 28, 2014. Centers for Disease Control and Prevention. NOISH pocket guide to chemical hazards, silica, crystalline. Available online: http://www.cdc.gov/niosh/npg/npgd0684.html July 22, 2014. 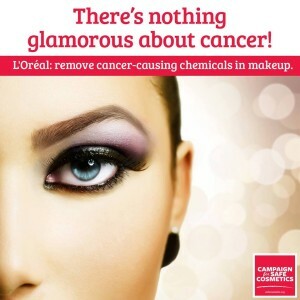 Chemicals linked to cancer have no place in anyone’s beauty routine.